Just irresistible, for dog lovers of all ages. 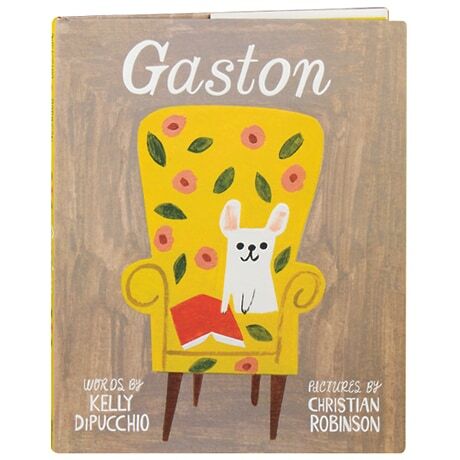 Caldecott Honoree Christian Robinson packs oodles of charm into his deceptively simple painted cartoons of French bulldog Gaston, who feels out of place at home, as does French poodle Antoinette—perhaps because they somehow wound up in each other's families. The mix-up is discovered when the poodle and bulldog families both visit the dog park, and the pups decide to switch back. But in the delightful read-aloud text by Kelly DiPucchio, Gaston finds he doesn't care for the rough-and-tumble of his bulldog brothers, while Antoinette resists the pink and fluffy trappings of the poodle home. So they switch back—but that's not the end of the story.